Olympic Village in Sochi. It's complete with a full-service diner, a free bar, a 24-hour gym...and a robust online dating scene? 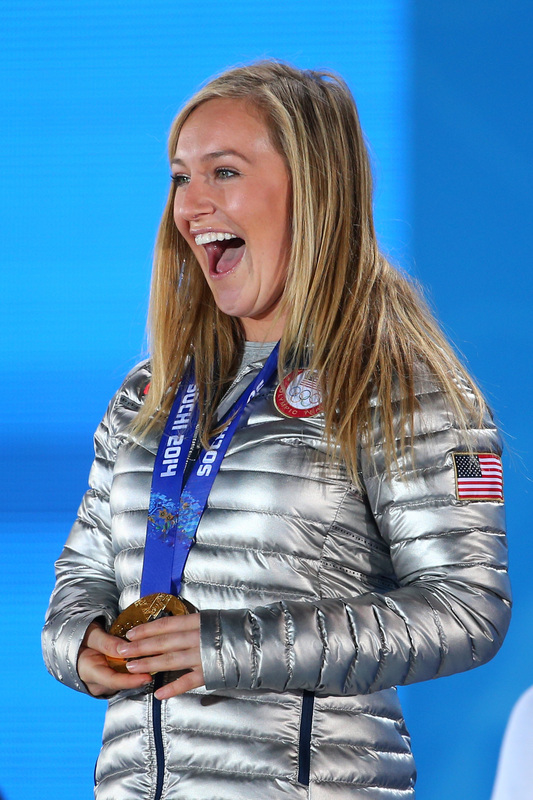 U.S. snowboarder Jamie Anderson told US Weekly that Tinder is so popular among the athletes in Olympic Village it's "next level." We were hoping for some Olympic Village hookups in Sochi, and it looks like our wish has been granted. This really comes as no surprise — considering that the location of athletes' housing doesn't make it very conducive to night life, and considering that we're talking about a group of 6,000 young, fit, potentially single people who are all looking to celebrate or blow off steam...I mean, there's a reason the London Olympics wound up handing out 150,000 condoms to the athletes. God only knows how many Sochi will go through now that Tinder has been added to the mix. "It's all athletes!" Anderson said in her interview with US Weekly. "It's hilarious. There are some cuties on there." Though, one has to assume that the way people go through photos on Tinder, eventually you'd get a fair number of repeats. But hey, cut off from nightlife and your family and friends, what else are you going to do? Anderson says her own usage got to be enough that she had to give the whole thing up. "There was a point where I had to be like OK, this is way too distracting…I deleted my account to focus on the Olympics." And it seems that decision worked out well for her; she won a gold medal in the Women's Slopestyle Event on Sunday. Maybe in celebration she should treat herself to a romp with some of the Tinder cuties she mentioned. Tinder co-founder Justin Mateen even weighed in, sending this message to the athletes via TMZ: "Tinder is a great way to meet new people when you're traveling and want to get the most out of your experience in a new city, but for now, focus on giving it your all while competing. Tinder will always be here when you're done." I suppose the real question, though, isn't which of our favorite Olympians might be on Tinder during the games, but whether or not anyone is brave enough to try using Grindr, given the Russian laws against "gay propaganda." Would using a gay hookup app count as propaganda? Based on the recent hacking of Hunters, Russia's version of Grindr, it's possible. Overall, this news about Tinder shouldn't be all that surprising. I mean, everyone is on Tinder nowadays, right? Even Cinderella.